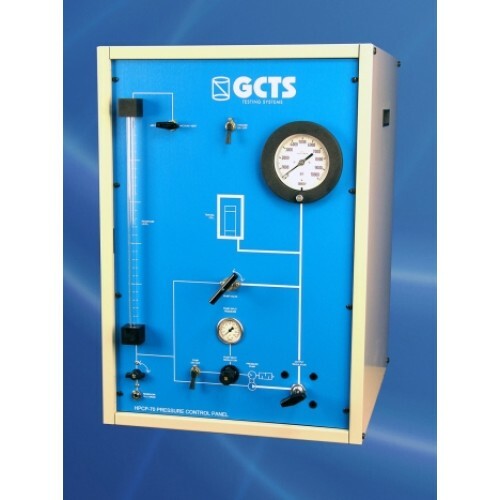 HPC-070 Air/Oil Pressure Booster - OFI Testing Equipment, Inc.
GCTS Air/Oil Pressure Boosters are very easy to operate and provide an economical alternative to servo-controlled pressure intensifiers. Air source from a 3 to 5 H.P. air compressor is sufficient to drive these pumps. 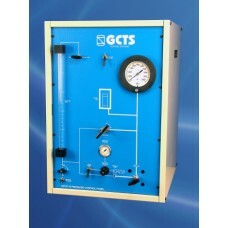 The GCTS Air/Oil Pressure Boosters are enclosed in a table-top metal cabinet and include pressure panel, 19-litter (5 gallon) fluid reservoir with pressure/vacuum/ vent port and venturi vacuum pump for easy filling and draining pressure cell, sight level gage, pressure gauge, input and output pressure regulators, high pressure valves, and a 3-meter flexible hose.